We are part of a small ecovillage in west Wales. One of four plots on 21 acres of mixed pasture & woodland, all in various stages of building ecological houses. Our family is Wyc and Silvia with children Willow (5) and River (2) and Peggy, a friendly dog. When not building the house, Wyc works three days a week as a teacher of 3D animation and games design. Silvia was a yoga teacher and is now a full time mum. We both have a background in meditation, yoga and similar practice but are currently in a period of practical activity, hence the building. We don't have much time to sit in a beautiful forest of bluebells, contemplating reality. But there is one here, just in case we do! We are part of a cultural movement in Wales towards sustainability, transforming our lives to live in a way our planet can survive, and setting an example of how it can be done while living the 'good life'. Wales actually has a special kind of planning permission to help make this happen. There are numerous other similar settlements in the area and some good social events going on. Anyone interested in natural building and sustainability will benefit here as there are four plots in various stages of developing off-grid dwellings and ecological land projects, and lots of opportunity to work with and socialize with the people who know all about it. 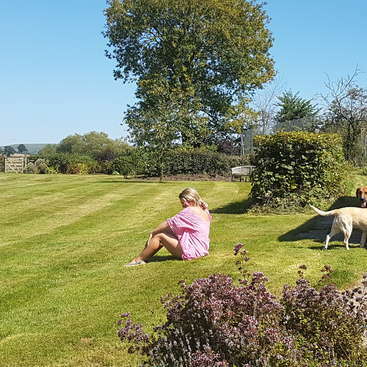 Our position in South West Wales is also excellent for tourism- Pembrokeshire is famous for having some of the most spectacular beaches in Europe, and we are surrounded by beautiful countryside and the Pembrokeshire national park. 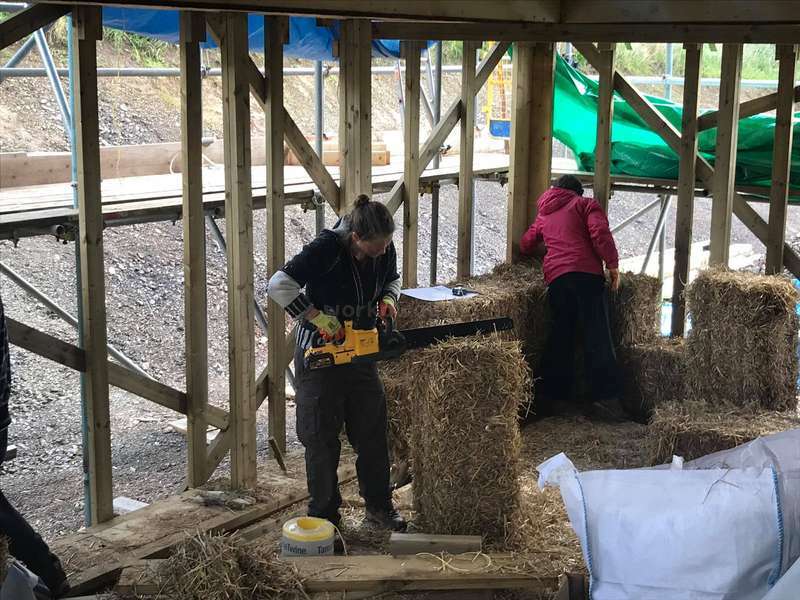 The main work for our eco-project here is building our straw bale house, which is largely finished on the outside, but with lots to do on the inside. We also have to develop our site and land based business. Firstly, by getting involved (under guidance) in the next stages of building our eco-home, which will involve basic carpentry with cordless power tools. There will also be some maintenance of the land, tree planting, building structures, polytunnel, scything, and so on. Secondly in supporting Silvia with our two young children (especially when Wyc is away working) and taking a bit of pressure off her. That involves generally playing, entertaining and distracting them, and occasionally helping with chores. The near future involves insulating the roof, building a staircase, plastering the internal walls with clay, building the kitchen. There is also a forest garden to plant, herb beds to create, vegetables to look after. Chickens and hopefully other animals to care for. 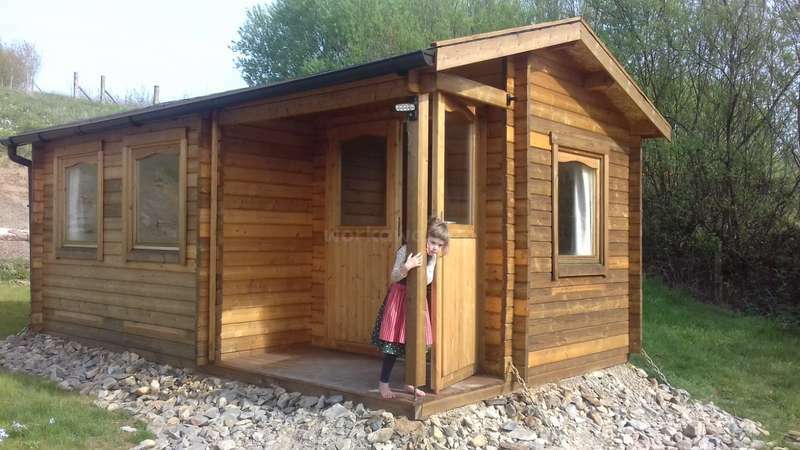 We have a 3x5m log cabin and a touring caravan for guests, both with wood burning stove. We live in a static caravan with hot water and shower available. The polytunnel is an additional social area with kitchen and tables during warmer months. When we have more volunteers on site and the season is warm enough, we can also offer a large Bell Tent. We use a composting toilet. Electricity is solar powered and abundant outside the perpetual darkness of winter. Amazingly, we can now also offer the use of a washing machine and refrigeration (!). We have wireless broadband Internet. Food is provided when you're on site. We may need you to help with cooking, to serve yourself breakfast, and to take turns washing up. We're about 3 miles from the nearest town with train station and main roads that go to all the tourist destinations. Our nearest beach is Amroth (10miles), which has a sunken ancient forest and beautiful rocks and cliffs. 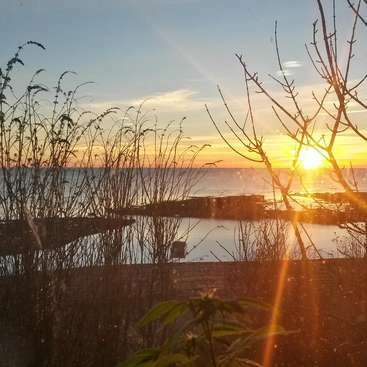 7 miles north is Lammas, the well known eco-village that started the movement over here. They host tours in summer and numerous social events, courses and workshops. 5 hours a day, five days a week, negotiable. They were our first stop on our work away tour. We were only able to spend a short amount of time with Wyc, Silvia and the kids, but they were immediately very welcomig and we bonded quickly. The work on the house was a great learning experience, Wyc and Silvia were so patient, precise and helpful in explaining the job of the day. The kids got on… read more well with eachother and had excellent jump-arounds together on the giant trampoline. Food was great and the quiet social nights in the polytunnel were always fun. It would be great to go back some time and help them out again. We definitely recommend volunteering here! Living and working with Silvia and Wyc was a wonderful experience! I would recommend it to anyone! Kate had to leave after one week for work, but I stayed for 3 weeks. Getting to know Wyc, Silvia, Willow, and River over this time was really rewarding. With regards to work, Wyc and Silvia were extremely open, approachable, and generous with their… read more time. They always checked in with us about the work we wanted to do and they were flexible with our days off. Another awesome part of this project was the time spent talking and learning about the process. Every meal was delicious, and they was always plenty of it! The land is idyllic. We camped and the space was ideal. Best of luck with the rest of the house! We hope to see you again in the future! Silvia and Wyc care a lot about their volunteers, so there was always a lot of tasty food, we could choose what kind of work we wanted to… read more do, which day of the week we want to take a day of (depending on the weather), when they went to the shop they alsways asked for special wishes and gave us a lift to the next trainstation when we wanted to. Usually we were at least 4 volunteers, so we were always a nice community, it was´nt boring at all, but you have also the oportunity to withdraw. Willow and River are open children and it was so easy to get in contact with them, to play, sing, discover the forrest, watch a movie or read a story. I learned a lot about natural buildings. Silvia and Wyc explained a lot about the processes of building, shared their experiences with us and reflected about their way of building and other oportunities. Thank you very much for this nice experience, I hope we see each other soon and I wish you a lovely time until then. Mathilde stayed with us for two months, and by the time she left, she felt like part of the family. 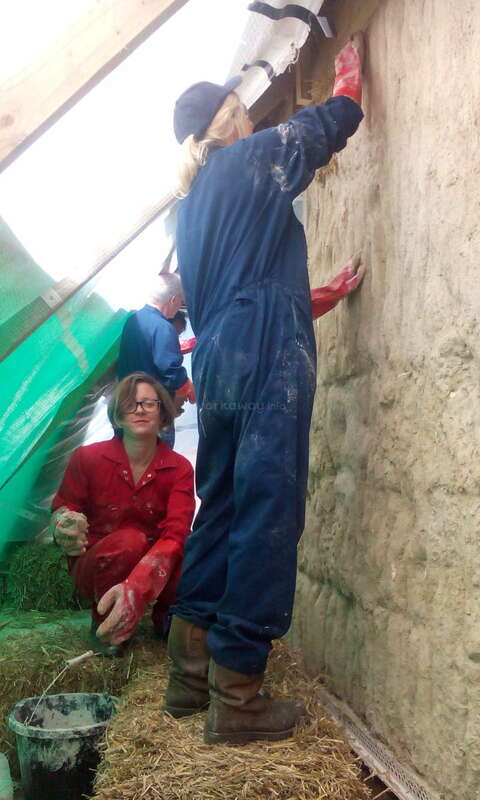 Mathilde spent countless hours learning the complexities of lime rendering on the straw bale walls of our eco-house, and then helped to teach other new volunteers. She adapted well to our family life and spent lots of time looking after the… read more children, who loved playing with her and loved the calmness she brought to them. Mathilde connected well with all the residents and volunteers on site and made such a valuable contribution. We miss her already and hope she will come and see us again one day. My summer spent with Wyc, Silvia and their two children Willow and River was wonderfull !!! I felt part of their lovely familly. We enjoyed simple pleasures of life. Building a strawbale house is an interesting project and I have been pleased to learn the techniques used to build the walls outside of their house. It is really motivating to help… read more people who really deserve it ! You don't actually feel like you're working ! Looking after Willow and River was also an amazing experience. They are easy going children with whom you can play with and do a lot of different activities. Thank you very much Wyc and Silvia for this two amazing and beautiful months spent with you ! Wyc and Sylvia are fun and easy going hosts, happy to share any knowledge about the process of building a straw bale house; something which I am particularly interested in. The current stage of the build involved a lot of lime rendering and is particularly time consuming, but as I was there for a fair amount of time (around 3 and a half weeks) I… read more managed to see and work on applying the various coats. The food is also fantastic (and vegetarian) and I always made sure to get at least a third helping every meal. I guess I eat a lot. Overall, I really enjoyed this experience and felt really relaxed throughout my whole time there. It seems to attract cool volunteers genuinely interested in eco building which I know Wyc and Sylvia appreciate. The only con I can think of is that I have sore thumbs from all the plastering, but I should probably stop being such a baby and toughen up. Radomir is a considerate, thoughtful and resourceful volunteer. He helped us with our lime rendering and our carpentry- and did lots of small repair jobs too. We really enjoyed having him and would love to see him again! He's a 'slow burner' - quite quiet at first but a really good guy. I spent 3 weeks with Wyc and Sylvia, both great and inspiring children and couple of other great volunteers: Raisa, Matylda, Joe, Maizy. On the beginning there was a lime plastering course with great people as well. I stayed there in a family tent with comfortable mattress and it was comfy enough. Eventhough food was british, it was good :)… read more (respond for that French joke) don't take it seriously, they cook well. I am not a judge so try it by yourselves, for me it was great. There was opportunity to work on lime plastering or easy carpentry. Work is mainly focused 2018/7 on lime plastering, but it was pissible to agree on other stuff. FOR HITCHHIKERS: hitching in Wales was quite easy on main A-roads, little bit harder on rural roads, but still possible to get to pembrokeshire coast in a decent time interval ( 1st 3h second time 1h). 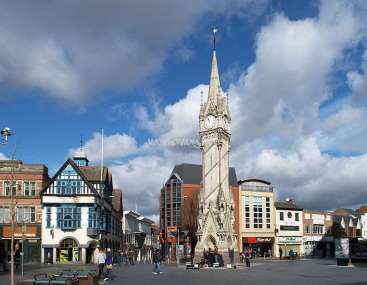 It is possible to get to this place by hitching throughout the UK but I recommend to arrange pick up fron Whitland to family house. It could be quite far from Whitland roundabout considering your back pack weight. I've never tried to hitchhike to snowdonia np from this place. The two weeks we had at Wyc and Silvia's place could really be described as excellent! Wyc n Silvia as host were easygoing and flexible! There was always food on the table (good food) and something nice to do in the spare time! We visited some really beautiful places in the surrounding area. I really loved my time with Silvie, Wyc, Willow and River! They are a beautiful family and I felt very comfortable and at home! I had lots of fun playing with Willow and absolutely fell in love with little River. During the first few days of my stay Silvie and Wyc were running a course so I mainly helped out with the cooking, cleaning up and… read more taking care of the children. It was nice to meet and connect with the different people taking part in the course and there was a lot of singing around the fire in the evenings and socialising. Later on I had the opportunity to do some work on the house which I really enjoyed. I slept in a lovely little bell tent and the food was always beautiful and fresh. I felt really sad to leave and will definitely be visiting in the future! Thank you so much for having me Silvie, Wyc Willow and River! Maizy really is a superb workaway- her stay with us was only 10 days, but she was incredibly helpful, really positive, and brought sunshine to every situation. Our young children fell in love with her. She helped us out while we hosted a lime rendering course, helping with the catering and the kids all morning, and then got involved with the… read more course in the afternoons. After that she continued to get stuck in with the building of our house. She was flexible, accommodating, highly motivated and had a great attitude. We hope we'll see her again! Vikki was a real pleasure to have visit our land. She was super helpful, friendly and positive all the time and did a great job lime rendering the walls of our straw bale house. We'd be very happy if she comes back some time! Julia and Rasmus were really good company and super-motivated! We mostly had them lime-rendering the walls of our straw bale house, and they also did a bit of scything, gardening and other land-based crafty stuff. They were eager to learn the techniques, had a real eye for detail and used their own initiative to fix problems. It was a real… read more pleasure to have them! They are handy, self-sufficient, fun. We recommend stealing their shoes so they cannot leave. I had a really great time in Wyc and Silvia's place. I learned a lot about natural building and straw bale houses, i met really nice people and the food cooked by both was good!! It was nice to live for a little in nature and i learned how i could live in a different way. Willow and River are very cute and i had fun moments with them. Elsa was a pleasure to have visit us- she has a great attitude, is easy to talk to, very helpful, good with the children and worked really hard! Everything you need from a workawayer. Hopefully she will return one day. Meanwhile we'd recommend her to any other hosts. Sara was really good to have around- she has a great attitude, is really helpful, was great with the children. She is also fit, strong and good at physical tasks, of which we had plenty! We'd be happy to have her come again, and would recommend her highly! Alex and Joey spent three weeks with us and were super helpful... Alex was great with our kids and Joey was super-practical all round. 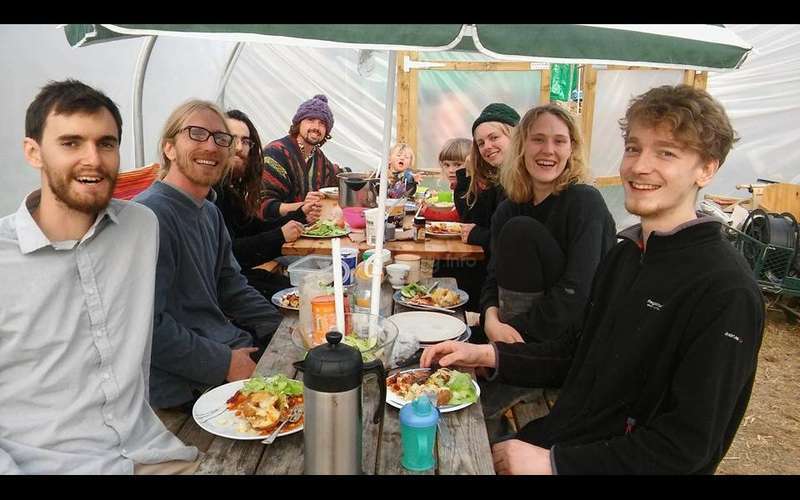 With them we managed to install a wood burning stove in the caravan and fit insulation into a large area of the floor of our house, and spent the evenings transporting Willow and River to various different… read more universes... the kids loved them and still talk about them! Good luck! Super awesome amazing people!!! Please go to them if you want to have a great time! 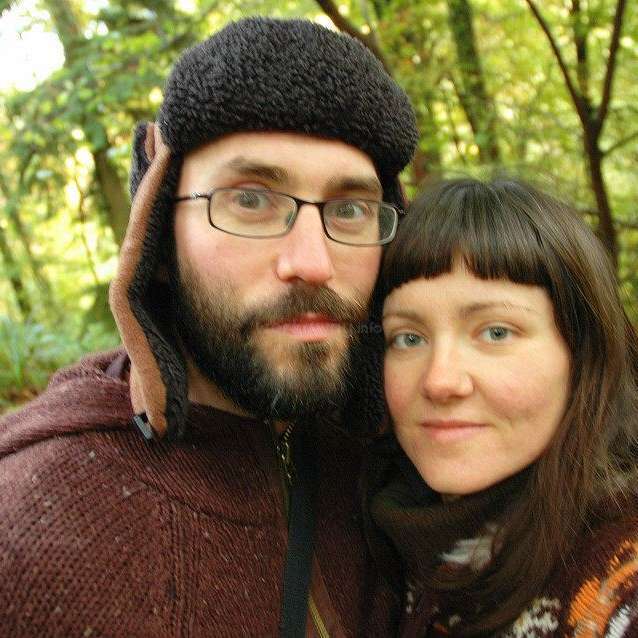 Wyc and Silvia are wonderfully accepting hosts and their children, Willow and River, are a hoot to be with. Learn lots and become inspired! We had Charlie, Loik and the children come to stay for 2 weeks and it was great- Loike is a very productive and talented carpenter- in that time he fitted all the windows and doors for our house, crafted all the sils, and sorted out the bracing in our roof. Meanwhile Charlie and family helped in the garden and played with our children. Noyel,… read more Bambou and Tais were really well behaved and charming. We wanted them to stay longer. 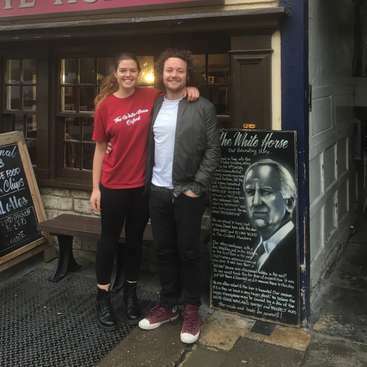 A pleasure to have them- come back soon! Hanna came to stay with us and was incredibly helpful. She took part in our straw bale build and was also fantastic with the children. Thanks Hanna and hope to see you again! Go to this place. It is wonderful. Had an absolutely brilliant time with all the family and volunteers, was made to feel very much at home and very comfortable. The work was really diverse; helping on the house building along with child care and chipping in with cooking...it's a place and kind of work you can really get stuck into with beautiful… read more surroundings and people. Can't wait to visit Sylvie, Wyc, Willow and River again, this was an experience I shan't be forgetting any time soon. Flor was a fantastic help in every way. For the time she was with us she was like part of the family. We miss her! David was a top workaway. A great guy, handy and capable, helpful and a pleasure to work with. We hope he'll come again! Tim was a real pleasure to have on the project. Great attitude, really helpful, no trouble at all. And a competent worker. He even worked with me into the late night on emergency roof repairs! We spent an interesting week at the early stages of preparing for the straw-bale house build, doing cement work and preparing wooden beams for the main support base. Wyc and family were accommodating, as were the others at the eco-village. Interesting concepts of living off-grid and supporting themselves. We wish them well as the house progresses,… read more and thanks for hosting us so well. Chris and Sheila were amazing. They were lovely to be with and unbelievably productive. First class workawayers! 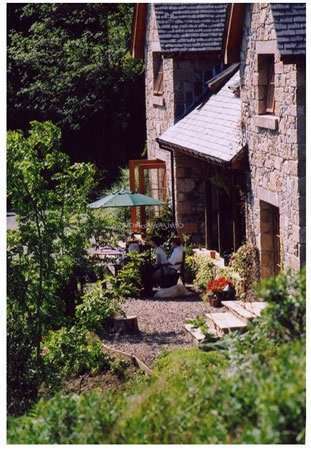 Help in a beautiful guest house beside a loch in the highlands of Scotland.